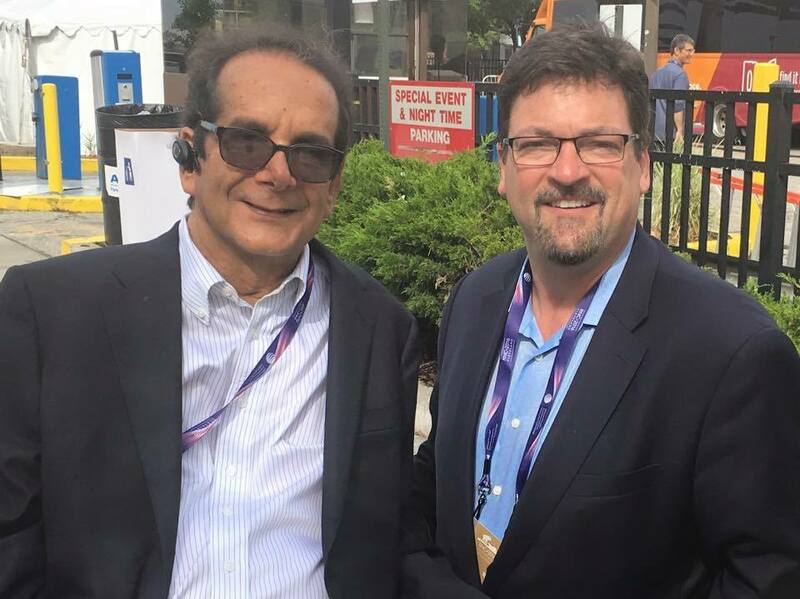 I only met Charles Krauthammer once but respected him for many years. I am not someone who is enamored by celebrity or taken by fame. I don’t ask for autographs and I’ve met and spoken to many people. I would not want to trade places with anyone. For some reason Krauthammer was different. When I saw him in Cleveland in the summer of 2016, I was drawn to him and I asked him if he would take a picture with me. He was soft spoken, kind and more than happy to oblige. I spoke to him for a few minutes but tonight I could not tell you about what. I read his book, Things That Matter in 2013. I found his essays to be of incredible insight with tremendous value and he anchored all of his comments in principal. He was not someone who would pillory anyone for their looks or mannerisms but rather would focus his criticisms solely on ideas and the merits or lack thereof. He was a force of nature when it came to conservative commentary and he won the Pulitzer Prize for his work. He was a giant even though he spent nearly his entire adult life in a wheelchair. In my brief conversation I concluded Charles was everything I imagined him to be. He was warm and engaging, polite and charming. He carried himself with tremendous dignity. He was also a man with incredible intellect and poise. He was the definition of grace under pressure. His example is one for us to follow. In the letter he penned June 8, 2016, Charles told the world his time was short and the cancer had won. He wrote, ‘this is the final verdict. My fight is over.’He also took the time, as you would expect to thank his doctors and caregivers for helping him in such a difficult time. He also thanked those that read his words and watched him on TV. He was a gracious and thankful man. Pure class. That is what I know about Charles. I can only hope to achieve such heights during my life. I pray that I will be able to do things that matter and truly live the life I intend. These are lofty goals and I thank you Charles for giving me something to reach for.